This venue is considered to be one of the finest hotels of Italy and it is situated in the charming cliff-top town of Ravello. It has 48 rooms that can be booked exclusively for a very private and unforgettable wedding for up to 130 people. This venue is conveniently located to the town hall and many wonderful churches. Inside the venue it is possible to hold private blessings ceremonies. It offers to its clients the use of a marvelous infinity pool with a breathtaking view of the sea and coastline. A unique and spectacular Villa, considered one of the best venues of our country. A luxuriant garden and amazing vistas from the famous terrace overlooking the sea. 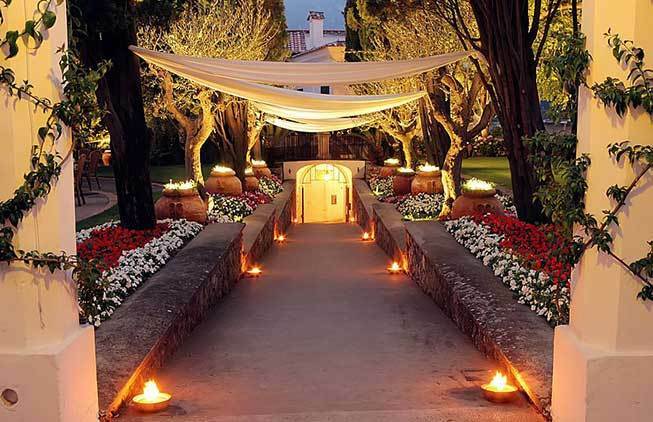 It offers the possibility to organize outdoor ceremonies and banquets in the grounds of the property. It has 19 bedrooms and weddings can be planned up to 130 guests. Possibility to hire all the villa rooms on an exclusive basis. Luxury property. 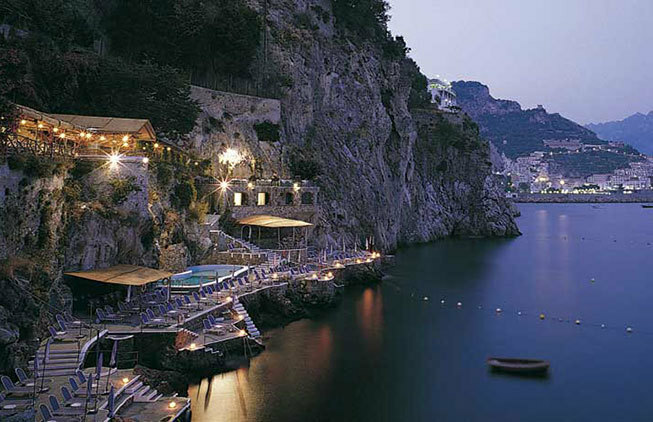 This exclusive and luxury venue is located along the famous Amalfi drive in a panoramic position. 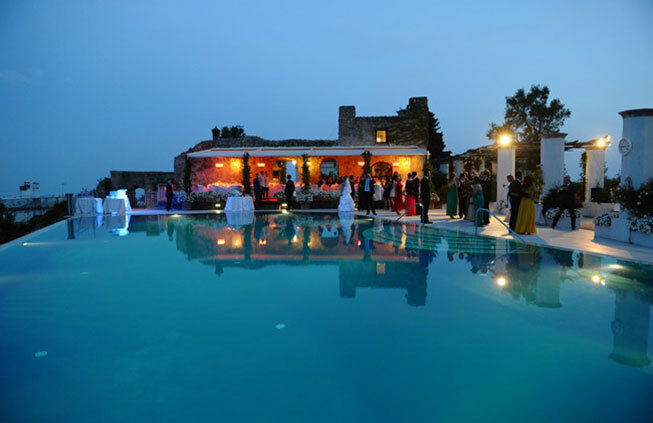 This is a long-established venue of supreme quality and elegance, perched on a clifftop and surrounded by gardens and terraces on multiple levels. The terraces drop down to the sea, ideal setting for outdoor cocktails. 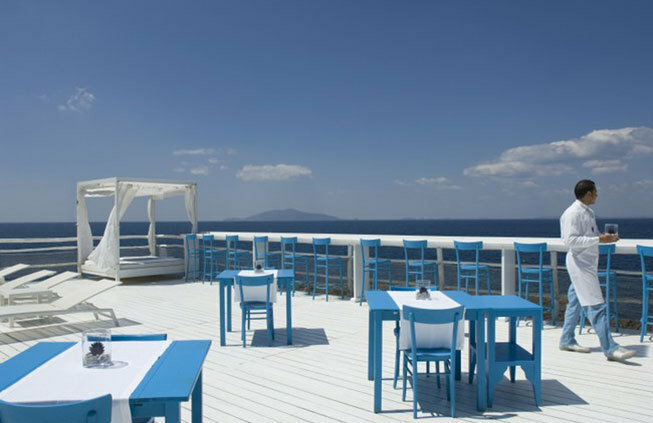 A restaurant hall with panoramic sea views is available for dinners and banquets. 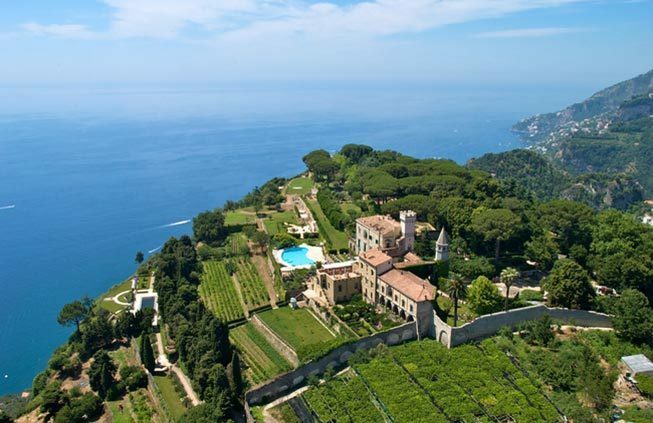 This splendid liberty style Villa is located in the heart of the romantic village of Ravello, in a secluded position. Great panoramic views from its garden terrace, a large park full of flowers, a Gazebo permanently set that can hold large groups and the private Villa. Wedding parties are usually held in the garden, under the Gazebo where you can enjoy an open-air reception with incredible vistas of the sea and sky. We particularly love this venue, for its secluded ambience, Mediterranean feel and relaxed atmosphere. Romantic and panoramic sea-edge restaurant and beach club, perched on the cliffs, just few meters away from the beautiful Blue Grotto. This venue is suitable for small or large events. The interiors feature Mediterranean furnishings, hand painted majolica tiles and a bright white and blue color schedule.